Yesterday I learned NASA truly is all powerful – They actually postponed Dawn until Monday! Today, however, I was disappointed as I was forced to weed under a hot Sun. 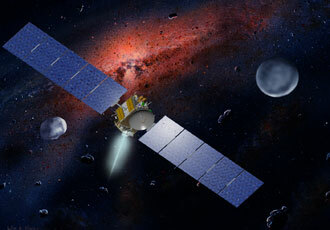 Turns out, the only Dawn NASA can delay is the an amusingly monikered mission to the meteors Vesta and Ceres. This little space probe is set to launch Monday afternoon between 3:56pm and 4:25pm EDT in September (thanks Jake!). NASA must be even more powerful than we thought, they’ve actually pushed [their] Dawn back until sometime in September.